Yesterday Apple had its massive product presentation and one of the products it announced was a new pay system for credit cards, Apple Pay. Load the cards into an iPhone, and then just wave them in front of a techno-gadget at the check-out counter and you’re done. Simple. Why might this be important? Currently, big business is tripping all over itself to gather as much information on you as possible, taking away big chunks of your privacy. A 2012 New York Times piece on Target explained how, based on the buying patterns of a teenager — unscented lotions, vitamin supplements and other non-pregnancy related products — it knew she was pregnant early on and sent coupons for maternity clothes to her home. Her father was livid. And unaware of his daughter’s state. Target is obviously not alone in doing everything possible to create massive data banks about you. Data banks that, perhaps, can then be hacked into (or subpoenaed). Personally, I find myself using cash more and more often, as I cherish my privacy. 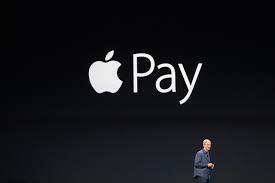 But Apple Pay may reverse that direction. According to CEO Tim Cook, the iPhone encrypts the card numbers, and when you make a purchase, the store can’t attach product information to your purchase. That’s because the store doesn’t even get your name, much less your card number. Hacking the store’s computers should keep the consumer safe (again, see Target, and its loss of 40M credit card numbers). Apple doesn’t save your transaction information.With Apple Pay, your payments are private. Apple doesn’t store the details of your transactions so they can’t be tied back to you. Your most recent purchases are kept in Passbook for your convenience, but that’s as far as it goes. Keep your cards in your wallet. Since you don’t have to show your credit or debit card, you never reveal your name, card number or security code to the cashier when you pay in store. This additional layer of privacy helps ensure that your information stays where it belongs. With you. If this works as planned, it has the potential to (partially) reverse our headlong dumping of personal information about ourselves into the computers of Big Business, both with respect to the items we buy as well as the cards we use. The less data that exists in the data banks, the less it can be abused. Apple Insider image of how the patent would work to morph past images in with the present ones for transmission. But the “what you see is what you get” belief that we have in video may change, if the testimony is electronically transmitted. Video testimony in the coming years might not be quite as reliable as we’d like to think. Will it be our eyes that are deceiving us? No. It may be technology. Is this the future of law? Currently, video communication over cellular data is spotty in many areas due to bandwidth restrictions and existing wireless technology. In some cases, features like Apple’s FaceTime are nearly unusable due to dropped frames, extremely low-resolution images and poor audio quality. How does Apple want to deal with that? By taking sample frames from the call that had been used previously and morphing them into the live conversation, to give the illusion of a constant video stream. In other words — and this is the part that would interest lawyers and judges — the visual cues from the speakers’ faces may not match with the words that are actually being used. 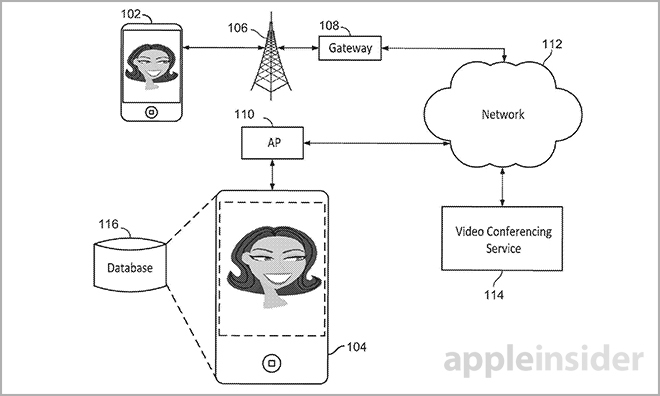 The U.S. Patent and Trademark Office on Thursday published an Apple invention that replaces frames dropped during a low-bandwidth FaceTime call with pre-recorded or doctored images, thereby creating the illusion of a seamless feed. Sometimes we see problems in movies and shows where the “sound is off” — as a fraction of a second misalignment messes with our brains. But in the Apple solution, they will simply morph old frames in so that it becomes seamless. The facial expressions you see might be for a different set of words that were previously used. Is this a problem today? No. Will it be in five years? Check back with me then. 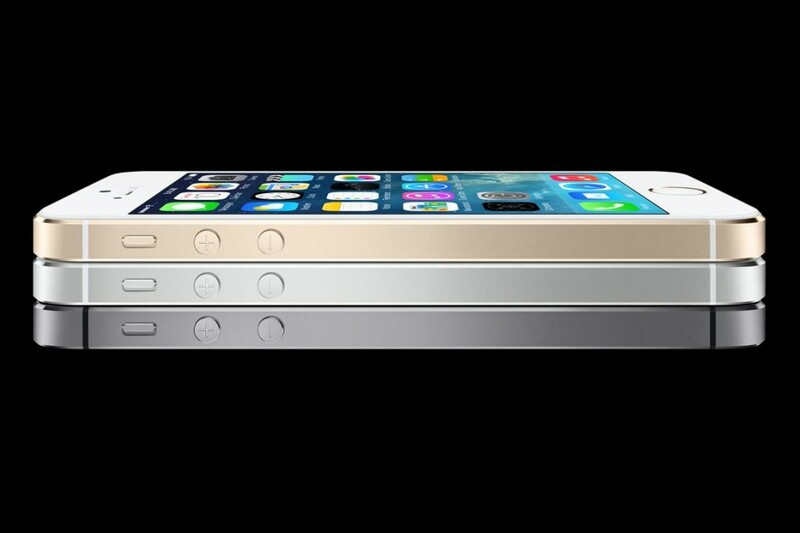 A week ago Apple unveiled its new iPhone 5s and some Apple-bashers had a field day criticizing it for only being incrementally better than the one released a year earlier, the iPhone 5. And this morning Apple released blockbuster sales of over 9 million iPhones sold since the actual release three days ago. Why the sharp difference between initial reviews and blockbuster sales. And why is this important to jury trials? Because those that were bashing were comparing it to the model released just one year ago. But most folks buy two-year contracts when they get an iPhone. Thus, the target audience for the phones was those that bought phones two years or more ago, not the few who want to upgrade every year. And since there is a huge difference between the one two years ago and the just released, it has tapped a substantial market. This is all about figuring out where to set the comparison bar when deciding if something is good or bad. If at trial you want to compare an injury to normal, you have to first figure out what that normal is and set that bar firmly in place. Firmly forcing a witness to declare what normal is, and locking the person in who is going to give that opinion, is a critical and often overlooked piece of the puzzle that constitutes evidence. It is all about expectation and doing a proper comparison. My two rupees on your trial tip for the day. Now contrast this to the rapid movement of technology, with Apple at the forefront. Just days ago they announced that they were ditching Google maps in favor of their own, and that these would be incorporated into future cars, including BMW, General Motors, Toyota, Mercedes-Benz, Honda, and Audi. The new button should be a welcome change for drivers who are used to manually entering their destinations into a GPS, or laboring through complicated voice-activated menu trees to perform simple tasks, like changing the radio station or placing a phone call. By leveraging Siri’s natural language voice control platform, theoretically drivers will be able to keep their hands on the wheel and their eyes on the road to minimize distracted driving. With Apple integrated into the car, it seems likely that such devices would also include the music that people have on their iPods/iPhones, as well as the ability to use those phones. One need not be a genius to foresee Apple integrating maps, music and phones into one device in the car, and allowing a simple wireless sync either with the handheld device that remains in your pocket or with its cloud based service. Texting and emailing could be voice-activated. 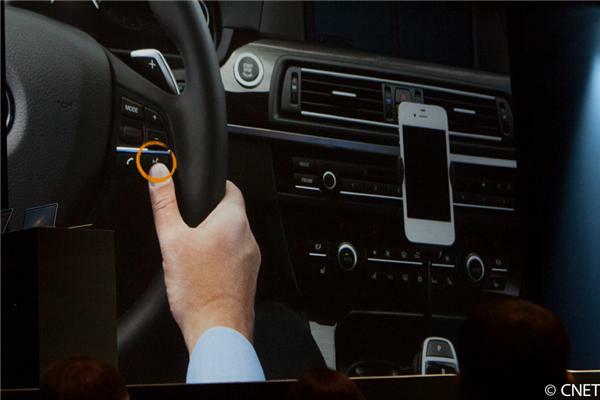 This means a dramatic rise in driver activity, for what would likely be an extremely popular device. So the future, it seems, is likely to see significant increases in drivers interacting with electronics, albeit it in a safer way than in the past. No one, for instance, will need to take their eyes off the road to punch buttons on radios. Looking into my crystal ball I see more accidents, of the rear-end I-wasn’t-paying-attention type. As opposed to those that took their eyes off the road and swerved into another lane as they spun the radio dial. How legislatures (and the National Transportation Safety Board) deal with this remains to be seen, but I would expect vigorous debate to continue that focuses on the issues of the role of government and consumer safety. When I heard the news last week while on vacation, the first thing that hit me was this: The courts have a new discovery issue for personal injury lawyers to deal with. That news, as you can guess from the subject heading, is that Apple iPhone users have their movements tracked by GPS so long as the device is on. And while much of that data may have existed before, and been accessible particularly to the police, Apple will make it much easier to obtain. Why? Well, because there’s an app for that. 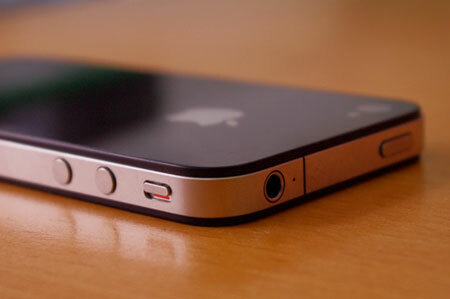 The tracking seems to have begun in June 2010 with the iPhone 4 update to the OS and the data is stored on the phone but is automatically transferred to a computer when the iPhone is synched without the user’s knowledge. So the info is on your phone, on your computer, and on Apple servers somewhere out there in the digital world. It may tell you how long someone was driving before the accident. Important for a 10 minute trip and an intersection collision? Perhaps not. But if it was a truck or bus traveling for 12 hours? Now we have another story. Can it tell you how fast you were going in the 60 seconds before the accident? Many judges might well think that relevant information for a jury. How long did that witness testify they were at the bar/restaurant before the accident? It better be accurate, because if the phone was on it will rat you out. And those phone are almost always on. It can also be used for criminal prosecutions. And defense to support an alibi. Matrimonial is a no-brainer for the cheating spouse. It’s like putting a private investigator in your pocket. iPhone GPS data litigation; coming soon to a courthouse near you. Don’t say you weren’t warned. Updated: Well, that didn’t last long. Steve Jobs has admitted a mistake (why can’t politicians do that?) and a software update is in the works to make this go away.